Features / Modifications Original Mast, Original Keel. Fairly makeshift bowsprit. Nice electric toilet. Nice electronics and Expedition software! Yacht Strengths Perseverance, longevity, original gelcoat. Why do you want to do the RNZ I would like to see the Southern Alps from the sea again. I like mountains with snow. Stewart Island is more interesting than you expect as well. What are the biggest races you’ve competed in Did a few Etchell races way back when Dennis Connor and John Bertrand used to sail, some things I remember. 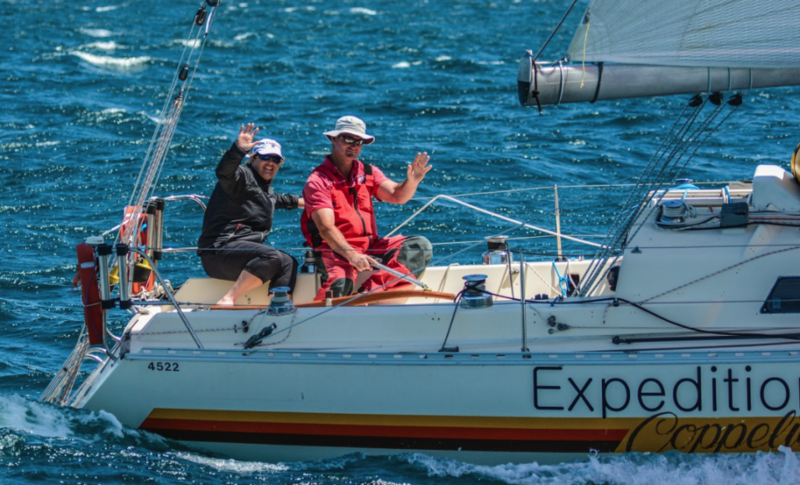 How did you get into sailing Through the father of friend at school who raced a Townson 32 when they had a class start with the RNZYS! I thought the squadron weekends were just IT. Funny stories Chris Skinner ? I was really tired. What is your offshore vice Sundowners at sunrise ? What do you hope to get out of doing the RNZ Memories. What inside tips do you have for others wanting to compete in 2 handed racing at this level Talk your GP or someone else you trust ! If no one can help… Sail a lot. Don’t give up. Prepare hard. Be safe. Sail more, then do it. What’s your team motto We are finishing. Family Mum and 3 sisters, nieces and nephews. Any other information you can think is relevant / funny / inspiring / etc It cracks me up that were doing it in my old boat again. It’s a joke. Sure I could imagine something newer and faster, but I don’t have that at the moment so we’re doing it anyway. Why do you want to do the RNZ Really enjoyed some of it last time, want to enjoy more of it this time. 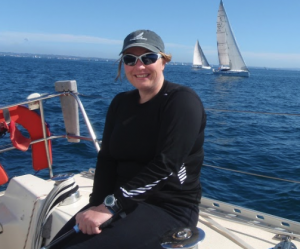 How did you get into sailing I was born into it – went away in the boat at 5 months old. Sailing background Started to race at Wakatere BC in Starling and Sunbursts. 2 years at RNZYS youth scheme. 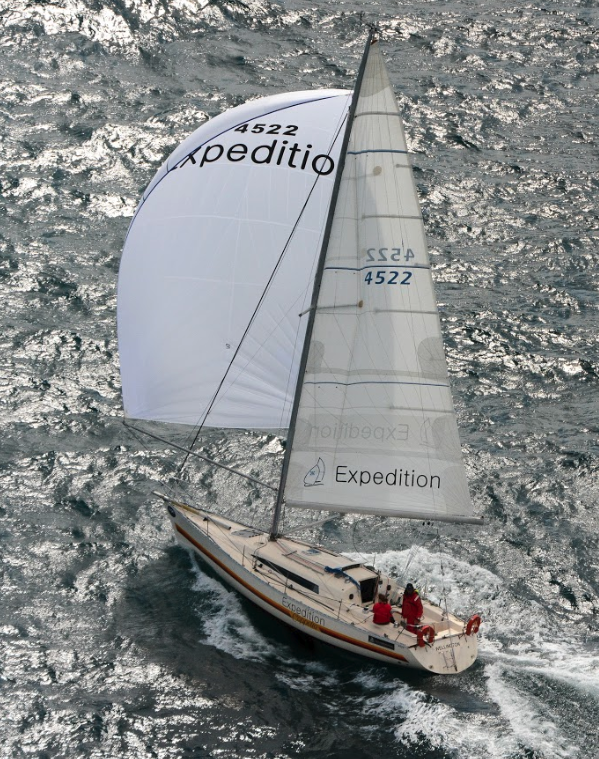 2 years World Match racing tour and other keelboat adventures. 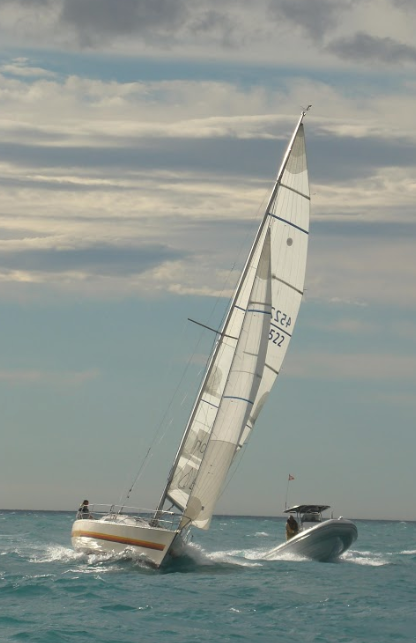 Brief foray into 470 sailing. Raced 2005 Flying Fifteen Worlds in Auckland and have raced them ever since. 25th at the last worlds, 1st female helm. How long have you 2 sailed together / how did you meet / what races have you done together in the past Since 2009. Rob was my stand-in crew on Nick White’s Young 88 Nijinsky for the SSANZ. We have done 2 x RNI, 1 x RNZ, 9 Coastal Classics together, and lots of other adventures. Funny stories Not really we are pretty serious partnership. Scariest yachting moment There hasn’t really been any truly scary moments do far, touch wood there won’t be. Being the safety officer for offshore races and talking to people it trouble is pretty scary to me. What is your offshore Vice My high density foam seat that I sit on to steer. What do you hope to get out of doing the RNZ 4 weeks of freedom from work! What inside tips do you have for others wanting to compete in 2 handed racing at this level Get a psychologist – honestly it is a brain game so get someone to train your brain. What’s your team motto It doesn’t get easier you just get faster. 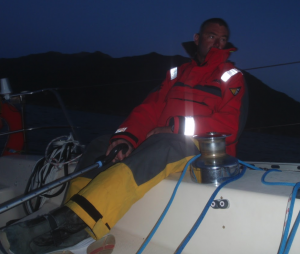 Biggest yachting achievement Finishing the 2012 RNZ. Family I have the lovely Neil. When you cross the finish line, what will you be most hanging out for? Fresh water.